Check out some of our members' Subies! "Hola, Cesar here. I have a 2005 WRB WRX. Been in Florida for about 2 years, don’t know too much about Jax. Glad I found more Subaru’s here and around Orange Park..."
"First time Subaru owner (2013 WRX LTD) lurker for months around here. Generally quiet, don’t really Facebook much except to this awesome group. I do computer things all day, car has intake, AP Stage 1 (COBB tune)." "First time owning a Subaru with my 2017 Subaru Impreza! What a fun car! I don’t think i will ever leave Subaru ever." "My name is Jeff. This is my lifted, 440whp, DRP built and Mikey tuned WRX. "This is Mona. 400+whp FA20. Stock turbo. Stock clutch. Stock block. Ticking time bomb? Yes. But we still like to send it. You can find us roaming the streets of St. Augustine and Jax." "My names Jonny 👋🏻 I am a fully time Technician at clay county transmission & this is my fully built 2006 WRX. I have spent the last year blowing up/rebuilding the whole entire car & plan to keep pushing myself and the limits 😊👍🏼"
"Army soldier that loves tacos and pizza😊"
"I'm Jenna and this is my 04 Forester XT. I consider myself lucky to be a part of the Subaru family, and as a Subaru Ambassador, I get the opportunity to make lasting connections over the love of the brand. Countless adventures, amazing friends, and knowledge galore is what I've found on my Subaru journey so far!" "2016 WRX - I’m a salesman at Subaru of Orange Park. Doing something I love, and looking at Subaru’s all day"
"My 2003 forester 5 speed - AKA “Hulk”! Daily/camp rig, my first Subaru I have ever owned and love it! Pnly paid $500 cash for it and don’t think i will ever sell it." "This is Nikko (Japanese for sunshine because she definitely brightens up my day). I'm a Subaru Ambassador and I love the community the Subaru brand creates no matter where you go and when I'm in Nikko, it truly is the journey and not the destination that makes it fun." "Navy musician by day, Subaru enthusiast by night"
"Hi I'm Joseph and this is my first Subaru. Heading for paint soon!" "This is the wife Storm. Its my first Subaru and she's awesome!" "Hi everyone I'm Robert and I have a 2017 STi Limited. I'm also a Subaru Ambassador and love being a part of the Subie Nation." "Hi, I'm Monique or Mo as most people know me. This is Pancho, my 2005 turbo manual 5spd Baja. He is my third Subie and my first turbo ever. He's a little bit country and a little bit rock n roll. The best of both worlds! We also have FatBeca, our 2008 Tribeca. Love my Subie Family!" "This is my 2016 Slowbaru WRX. I've been in the Subie world since 2013 and I've enjoyed every minute of it. I'm slow so you'll find me at Cars & Coffee with the hood up when I'm not working to keep the internet running for everyone!" "Betsy is a 2015 Launch Edition and we met on December 30th 2015. It was love at first sight and now we enjoy long cruises on the interstate and car meets or autocross events. Hopefully one day we will be able to add another little Subaru to our happy family 😂 "
"This is my '03 Bugeye. It's my first Subie, but will be my last. I love the Bugeye look and man I'll tell you what, this car and this community of people, no wait family of people, are awesome! So far the car has some bolt ons' it has a VF48 turbo, updated from the stock TD04, Tial 30 mm external wastegate, full 3in TurboBack to a Greddy, 5in tip large top mount and some other odds and ends with a Cobb AP"
"I've been a car guy my whole life (52 yrs) and this by far is my most favorite car I've owned yet. Since February I've installed CAI, tuned the car with a Cobb AP. added XXR 18" with Bridgestones, tinted the windows and today just installed a set of Eibach Pro springs. I also have the full Cobb stage 2+ turbo back kit I'll be installing over the next week. Joining the NFSG has been awesome for meeting a bunch of great Subie people. I'm down in Ormond Beach and look forward to tagging along to Tampa when you cruise towards I-4." "Hi, name is Jess and this is my 2015 CVT WRX. My husband converted me to Subaru in 2014 and I love my car." "Hello. My name is Ken. Been in the Subaru game for ten plus years. Started with that blue sedan. Owned all four of these. Not all at one time. Lol. Not pictured are a white wagon and silver sedan. Love is what makes Subaru a Subaru. Well they don't tell you that one can be come addicted to them. More so the old school ones." "When I blew up my 2005 FXT in January 2015 I made the decision to build it (short of machine work and shortblock assembly) completely by myself. As the result of countless hours reading/researching, talking to others and just diving in, I was able to complete a full motor build from removal to installation as a first-timer with only my own two hands in just about 9 months (weekends, buying parts slowly as the budget allowed). It wasn't easy and I almost towed it to a shop more than once. I can't describe the pride I feel every time I look at it, start it or drive it. The journey isn't nearly over, and I don't think I'll ever stop modifying this car!" "My name's Steven and this is my first WRX; 2016. A true extension of myself being the jack of all trades; master of none. 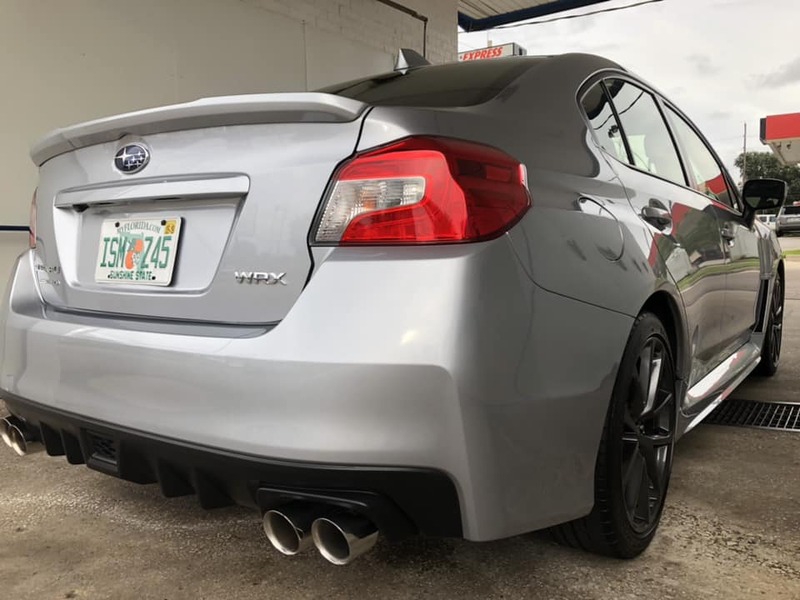 I'll be honest to say I have never desired to own a Subaru, but after the research, reviews and friend recommendations, it is here now and I wish I had known what I been missing." "My 13 wrx. Comes with me on whatever adventure we can handle." "I may have moved, but i still feel like part of the family. 05 FXT Premium. Fun and functional with some STI take-off bits." "Here's my 04 wrx "the silver lady".. It's my third child and second wife.. Causes all sort of enjoy with the cost of lots of money.. Lol"
"Hi my name is Jeff and this is my 2015 STI. Her name is IcECoLd. Say Hi IcECoLd...I've always wanted a Subaru ever since I was a kid and absolutely fell in love when I met her. After some tough negotiating she came home with me." I'm Shaun Nesmith and this is my mistress! I've owned quite a few Subarus but this 06 LGT is my favorite by far. I have not had the pleasure of attending the meets, but have met a few of the people, and haven't experienced a more enthusiastic, loving group ready to go above and beyond for any member! "I'm Geddis. She's Ester. We've been down since March 2013. I wanted her, so I had to show her that bank roll. She couldn't resist. She came home with me that night and never left. Though my gifts to her cost me a pretty penny, we enjoy them together. Ain't that right, Ester?" "Hello, im Stevie and this is Stella. I like to think my car is an extention of myself. Shes Slow, Wide, Unreliable, Obnoxious, loud, Thirsty, Expensive, and scary at times. But ultimately she and I are one of a kind , friendly and not bad to look at ;)"
"Hey guys, my name is Dee and this is Jack. "I've always wanted a Subaru, I saved for years, and was finally able to get the car I've always wanted. I was lucky enough to get the 2015 Launch Edition with the traditional WRB and gold wheels." "This is my second subie and the rumble, I mean love, is always gonna be there lol"
"I love this machine. Every drive to and from work is thoroughly enjoyable, and it's not too shabby at dodging cones. It may not be fast, but damn is it fun to put her sideways." "I met one of my best friends the day I bought my subie. He was getting into his STI as I pulled into a spot at Publix. We both said nice car to each other and have been hanging out since. I love the power the WRX delivers to all four wheels. My passengers are always amazed at how fast I can take corners compared to their rwd cars. Nothing but love for my subie!" "Hubby and I share it :) 2013 STI Limited Edition. Just a couple simple upgrades: Greddy Evo Exhaust. Fortune Auto, eBay lip." "Her name is Subarella. I have a white 05 STI. She's the love of my life. She is definitely not stock you can feel the 400 unicorns under the hood." "My name is Tamarah, and I introduce to you "beast boy", as named by my son whom is obsessed with Team Titans Go. Everyone believe "love is what makes Subaru a Subaru", we believe it's family.."
"I have a 2015 Subaru Impreza Wrx. Base model, stock setup, STI short throw shifter option included. I haven't done anything to it besides having the tint 5% all the way around added. I am 29, and owned my first 2006 WRX when I was 20 years old. Since then my knowledge and passion for the cars has grown so much and I have never had a vehicle that comes with ties to a loving enthusiast family. I will be team Subaru for generations to come." "My love and appreciation for Subarus began back in 1992 when my parents bought a new Legacy. I was always amazed how it conquered Vermont's changing seasons for over 250K miles without hesitation. I previously owned an 05 2.5 RS for 6 years, now own this 05 STI and an 08 Legacy 3.0R Limited. I love that NFSG brings together so many people that share the same passion." "I'm Mason and while I am originally from northern Michigan, I now reside in Jacksonville. I've been a Subaru owner since I bought my first one, a rusty 1991 Legacy, when I was 16, and this 2013 WRX is my third and favorite one I have owned. Performance mods are minor thus far but more will be happening in the future. I am absolutely in love with this car and driving it never fails to put a smile on my face!" July of 2013 I traded in my TC for Athena and never looked back! She's my 2013 WRX. I love being different with the stance scene even tho Rob thinks it's ridiculous haha. She's one of the few in the group that is a beauty instead of a beast! I believe a car isn't just another thing! It's something that you form a bond with and will take care of you only as good as you take care of it!" "Hey everyone I'm Brandon and this is my baby Lola! She's my second WRX"
"2013 Impreza Sport in deep cherry pearl. I call her Stinky! About me: I am a veterinary technician and love what I do." "Her name is Smurfette! I traded in a 2013 Genesis coupe R-Spec for my 13 hatch and have never looked back!" "I recently purchased my first Subaru, so far it's been a blast. I'm more of a "casual tuner", but am ready to begin on my 2008 WRX!" "Hi everyone! My name is Patrick and this is Blue Thunder. 2011 WRB WRX. Love this car!!! I live on Southside Jax and I'm a Licensed Massage Therapist. So very busy, but love to run with Subie Nation!" "New to the Subaru community just bought my 2014 BRZ back in November 2014 right off the showroom floor with 4 miles on it and have put 10k fun filled miles on it." "Used to be a Honda enthusiast because I didn't grow up with much money. I got my 2007 WRX STI last year and I fell in love with it and I'm just happy that I get to drive it every day. It's good to see other Subaru owners that can give me tips. I Hope to have it till the day I die!" "Hola. My name is Gabriel and I'm a Spanish teacher at Clay High School. I have been a long time fan of Subaru. Had a 2008 AW STi hatch and made the mistake of letting her go. Now I've come back with renewed energy with my 2004 WRB STi."